As you can see from the title, I finished two reads this past week and am super excited about it! Normally I only have time to finish one in a week, if I am even that lucky. Balancing hobbies with adult responsibilities can be a challenge, especially around the holiday season, am I right? Anyway, I am really happy that I finished these two books! Not because I wanted them to end, no they were both great reads, but because they put me on track to finish my Goodreads Challenge for the year. I have yet to complete one, but this year, I am determined to slay this beast. Only 4 (somehow it counted one of my DNF’s) left to go & victory will be mine! Wow, I am busting out all the cliche’s this morning. I suppose that is what happens when I have four cups of coffee [d: koffie] with breakfast [d: ontbijt]. Back to the focus of this post. My last two reads were Neil Gaiman’s, Neverwhere, and Simone St. James’, The Broken Girls. Neverwhere was recommended to me by two lovely, bookish friends. And I can say they were so right in getting me to bump this one up on my list. It’s definitely a dark, and gothic-esque read, perfect for this time of year when its dark more than its like. 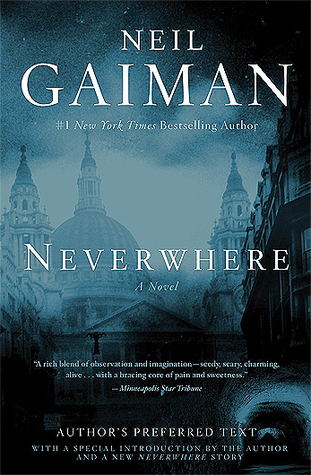 Neverwhere tells the story of Richard, an ordinary man from London Above, who accidentally stumbles upon the world of London Below by simply helping one of its inhabitants, Door. Richard finds himself on an unlikely quest with unlikely companions that take him places that someone from the world above could only dream about. Told in exquisite detail, Gaiman fails to disappoint readers. His world building capabilities blow me away. Only he could have readers confused, intrigued, and able to comprehend the world he presents all at the same time. His way with words paints vivid images and stirs up strong emotions in readers, and Neverwhere is no exception to this ability. I easily gave it a four star rating, and hope one day we get a sequel. The second read, was a buddy read with my go-to reading buddy. When she came to visit this past summer, I somehow got an extra box from Book of the Month, and decided to give her the extra books since I had doubles of two books. 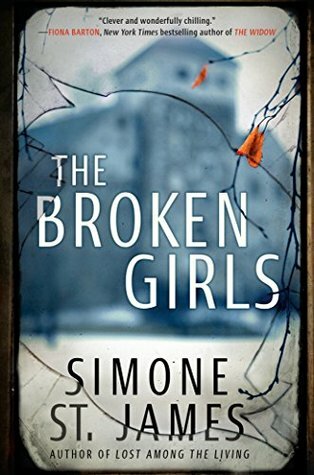 One was The Broken Girls by Simone St. James. Since we’ve plowed through the Outlander books we both have, we decided to try for something different this time. Our fifth buddy read, this one surprised us both! We read it in a record breaking four days. The Broken Girls has a little bit of everything sprinkled into it; from WW2 history, to breaking through sexism of the 1950s, a modern day murder mystery that still hangs over a town as though partially left unsolved, and a supernatural element that haunts both the past and the present. It sounds a little overwhelming and disjointed, like it wouldn’t work right? Somehow Simone St. James manages to weave all of these elements together to create a gripping and unique tale. This story is a sad yet poignant tale of girls whom society wronged and whom Simone St. James gives a voice to while kindly laying those truly broken girls to rest. It is a fast paced, well written tale, one that I gave a four star rating to and would highly recommend. As we continue to move through the weekend, what is everyone else up to? Reading? Prepping the holiday snowfall of activity that will eventually descend? I’m not feeling the greatest so just catching up on blog posts and reading my latest Netgalley read that has a Tuesday pub date! Until next time friends [d: vrienden]!